The book that Dr Yahaya and I had been working on since 2014 will be launched five days before my birthday! This is Dr Yahaya's contribution to his kampong and Singapore, as well as my contribution to Singapore Malay history and the publishing world. Thanks to the A-team who worked tireless on the book (yes, we had even worked until 5am)! ps. 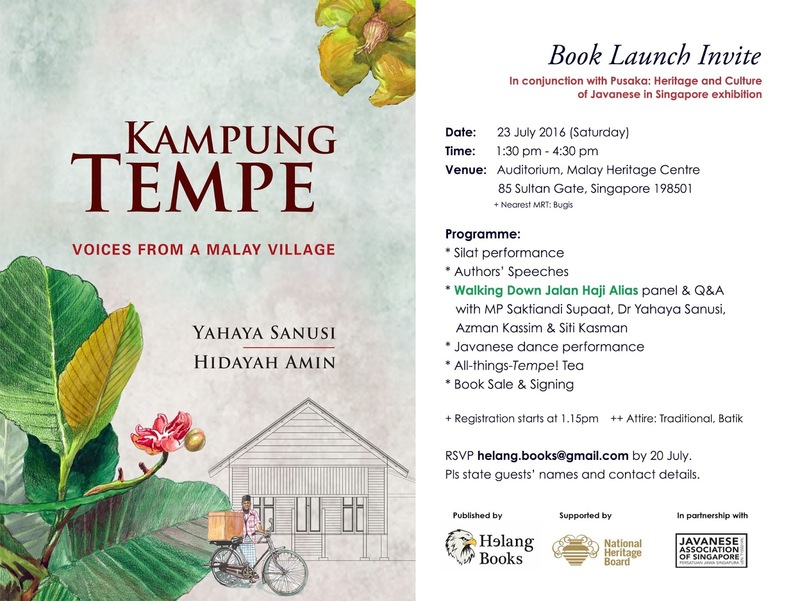 To a certain someone who bragged about her book being THE definitive book about Malay ethnic food (no, she is not the wonderful food consultant Aziza Ali, it is someone else whom Daria had ranted before): "Ooi, stop your irritating, delusional self-grandeur! We've published five books since you got the book grant in late 2013, and your book is still not out yet!"